Why I am I telling you about this book? Well, I’m in it (P97 if you’re wondering.) I was delighted to be included and that my apple and berry compote was deemed worthy to grace the pages of this publication. The book is on sale here. You can download it for €2.99 or purchase a hard copy for €12 plus P&P. 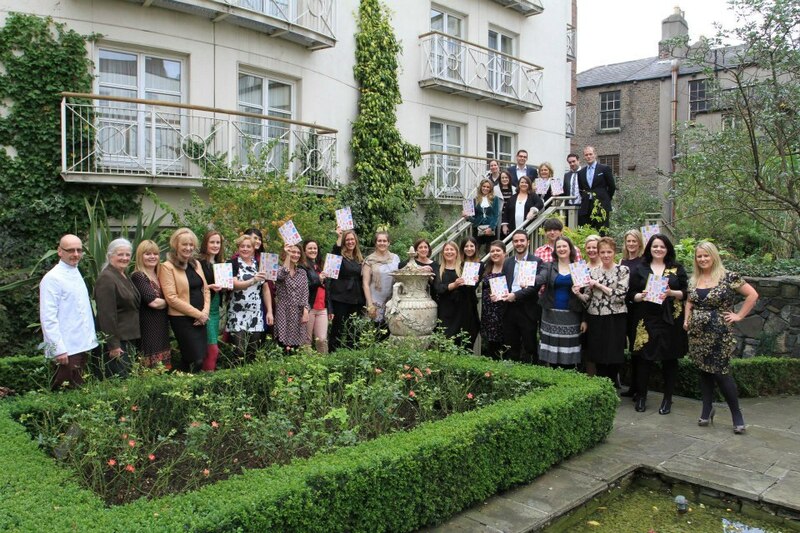 The profits will be split between Cork Penny Dinners and Dublin Food Bank, so please buy a copy if you can and support these worthwhile causes. In addition to this, the book is absolutely brilliant, it has loads of great recipes and is beautifully designed. It was a great event- food was good, wine flowed, and also because I got to meet a lot of fellow bloggers, some of whom I would speak to on a daily basis on twitter etc- but have never met before. Yes, I talk to strangers on the internet and then meet them at book launches. I’m fairly certain I was warned against this in primary school. The funny thing about this book? 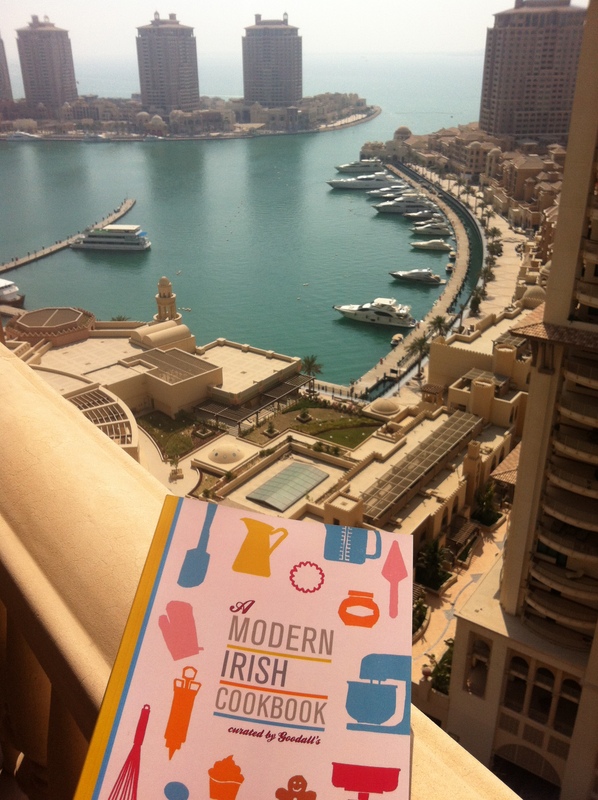 It likes to travel- here it is in Doha, the very next day after the launch.. Finally, thanks to Goodall’s and all involved for putting this publication together- it has been fantastic fun to be part of it. 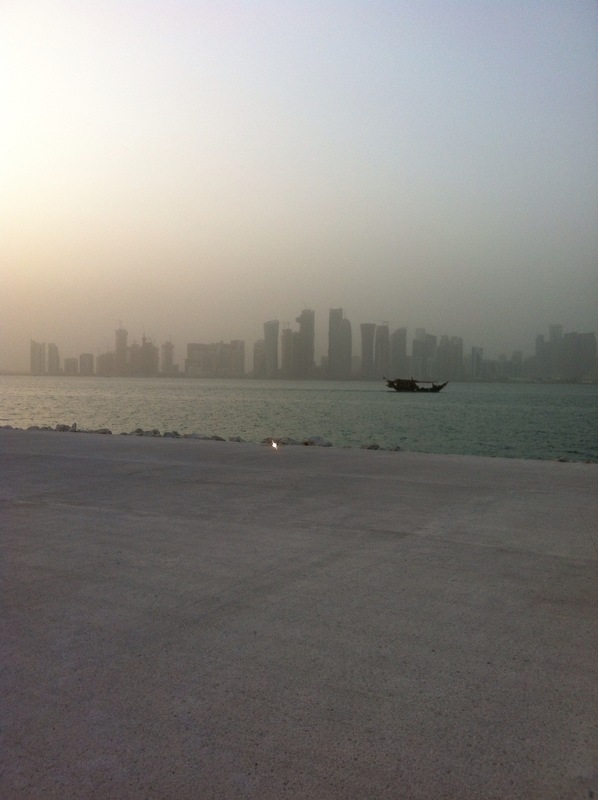 I have just returned from a trip to Doha, Qatar’s capital. It is a truly astonishing place. It is an intriguing blend of cultures. While parts of the city hark back to its Arab history, it is developing into a metropolis that would rival many a capital city. I could write on for some time about this remarkable country and its phenomenal growth in recent years- but we would be here for hours. Let’s talk about the food. There is a huge variety of cuisines available to sample. In the new hotels that stud the city, you can sample any cuisine you may choose from Greek to Chinese. More tradition fare is available in the local restaurants where you can enjoy delicious grilled meats, wonderful flat-breads and delicious hummus. A local favourite is this local lemon-mint drink. 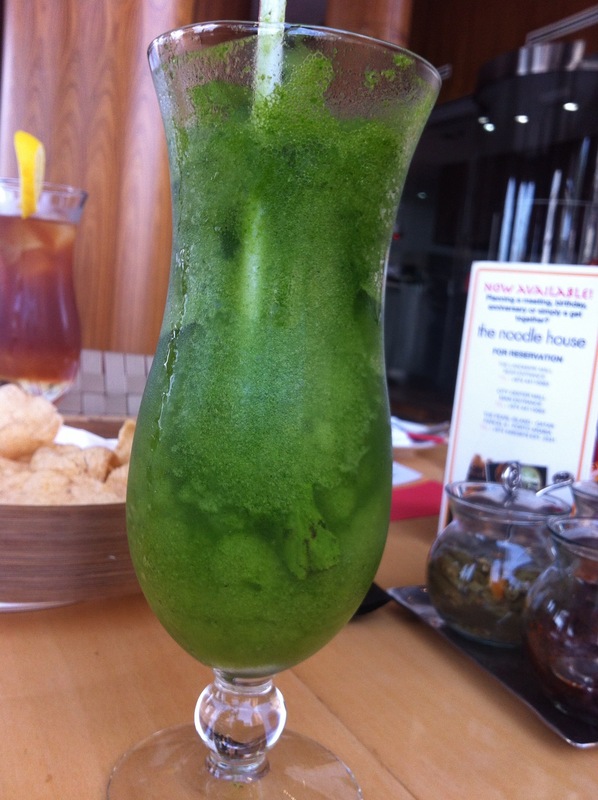 It consists of lemon juice, sugar syrup, blended with mint and sometimes ice. It is insanely refreshing and cuts through the ever-present heat. On this trip I ate in Mykonos. A Greek restaurant at the Intercontinental Hotel. The zucchini/courgette balls were the highlight of the meal. They were falafel type creatures made from shredded courgette.They were delicate and fragrant and maintained an impressive crunch after cooking. Another evening we made our way to The Cellar in the Oryx Rotana hotel. This is a tapas/wine bar and was thronged on the night we ate there. The food was very strong throughout. We had an assortment of dishes at the table. The highlights were aubergine grilled and served with the sweetest sliced onion salad I have ever eaten, lamb chops chargrilled, grilled prawns and patatas bravas came with a delicious, creamy aioli. What I would recommend to any traveller to Doha is a visit to Souq Waqif.It is a traditional middle-eastern souq that offers an array of spices and foods that would delight anyone with even the slightest culinary inclination. The pungent smell of spices permeates the warm air, as does the smoke from hundreds of Hookah pipes. 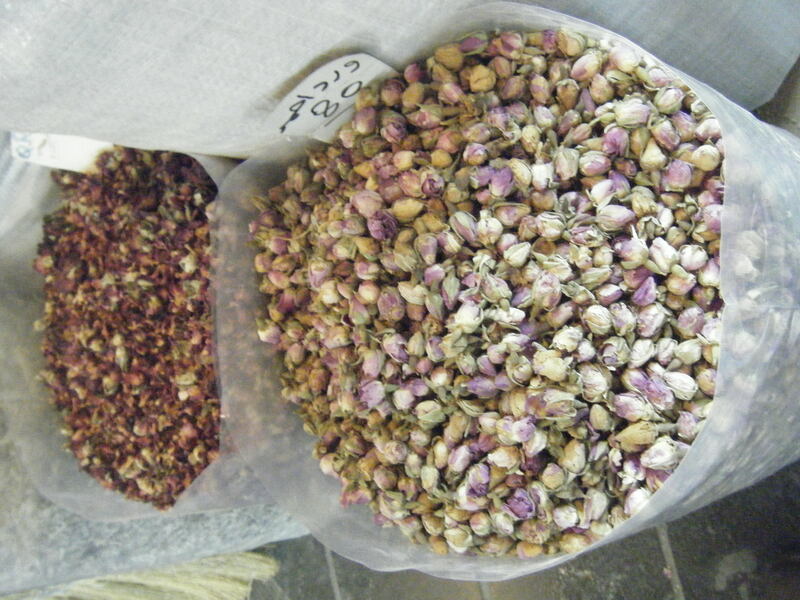 Stocking up on spices is always a high priority whenever I visit the Souq. As you can see the prices are very agreeable ( 5 Qatari Riyals (ish) to the Euro.) In addition the spices are all superbly fresh and give a tremendous bang for your buck. Saffron is €8 for 5 grams for example. The shop fronts are guarded by sacks after sack of flower petals and pulses. Other shops sell every variation of pot and pan you could wish for, some so big you could comfortably bathe in. I will be back to Doha, and I look forward to sampling more of the great food this city has to offer. My question to you is: Where is the most impressive market you have been to? What are your memories of it?